Nine colourful doors, which one are you??? We all know the sayings “first impressions last” and “you never get a second chance to make a first impression”. Well the same is true for your home. The first part of your home a visitor sees on arrival is your front door, therefore it is the first glimpse of what they will find inside and what you are about. So it’s important to give it some attention and put your mark on it. Now this can be tricky if like me you live in an apartment block, where all the interiors, Including the front doors, are all kept the same for a cohesive, tailored look. The best you can do is make sure it is maintained (i.e. no scuff marks or scratches in the paint). 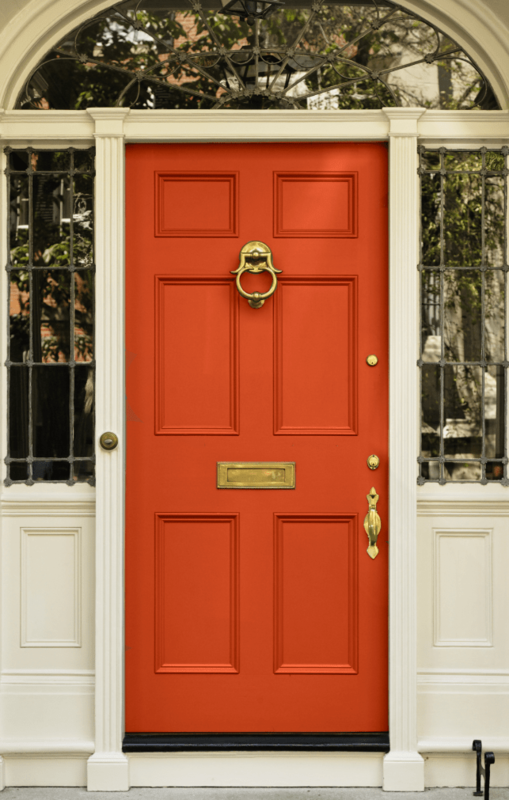 But for you people who have your very own front door (lucky), it’s time to show it some love. First thing is your hardware (no! not guns and bullets) but your handles, door knobs and doors knockers. It makes such a difference if your hardware is all of the same material and colour. From this I see a messy and unloved door. I would infer from this that it is not something that the owners are particularly bothered about. Would people get the impression that the inside is the same??? Remember god is in the details. Having the hardware all matching creates a polished and styled look. It says that you have paid attention to the details and that they are important to you. I am a big fan of brass door hardware, to me it just says luxury and elegance. 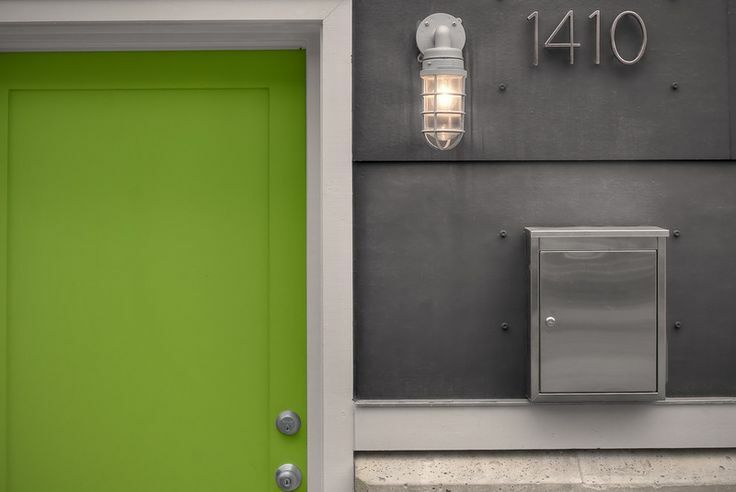 But I also like hardware that adds contrast to the colour of the door and stands out, so if that means using black or silver, well hey that’s ok too! And now for the fun bit (and my favourite bit) the COLOUR!!! There is no right or wrong colour, it just comes down to self expression and the quality of the work. Green doors reflect peace, growth, health and harmony. 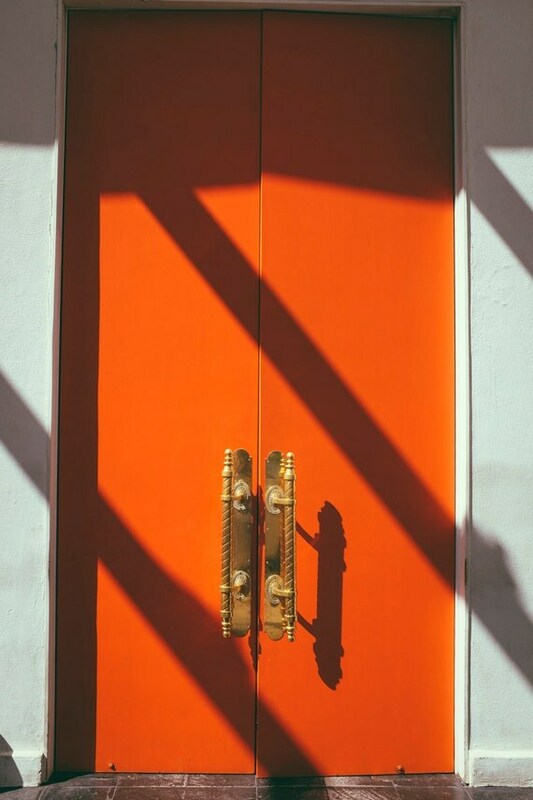 Orange doors are a sign of extroversion, confidence, optimism and cheerfulness. Purple doors are a sign of creativity, imagination, wisdom and energy. 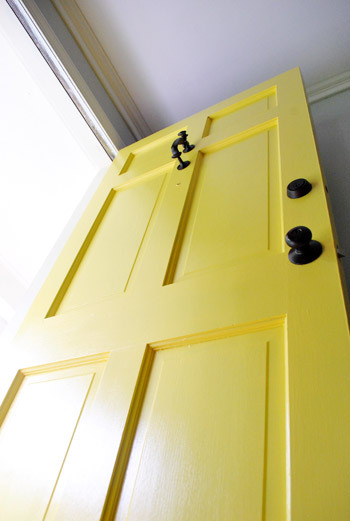 Yellow doors are a symbol of mental clarity, warmth, fun and humour. Red Doors reflect youth, positive energy, boldness and excitement. White doors reflect neatness, calmness, balance and neutrality. 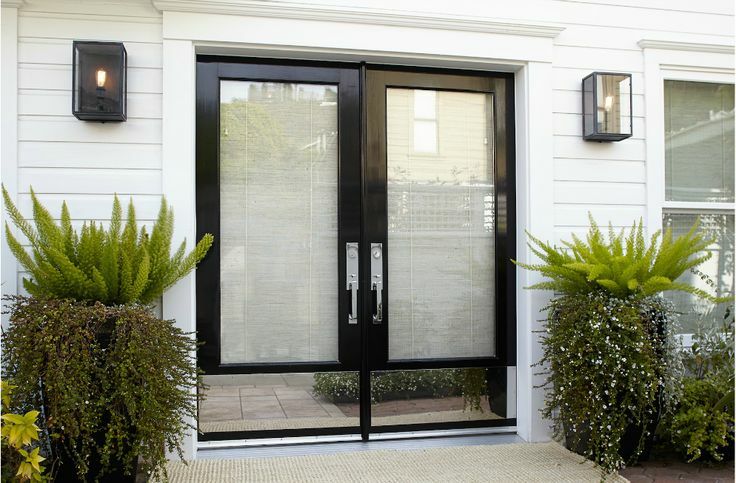 Black doors represent elegance and calmness. 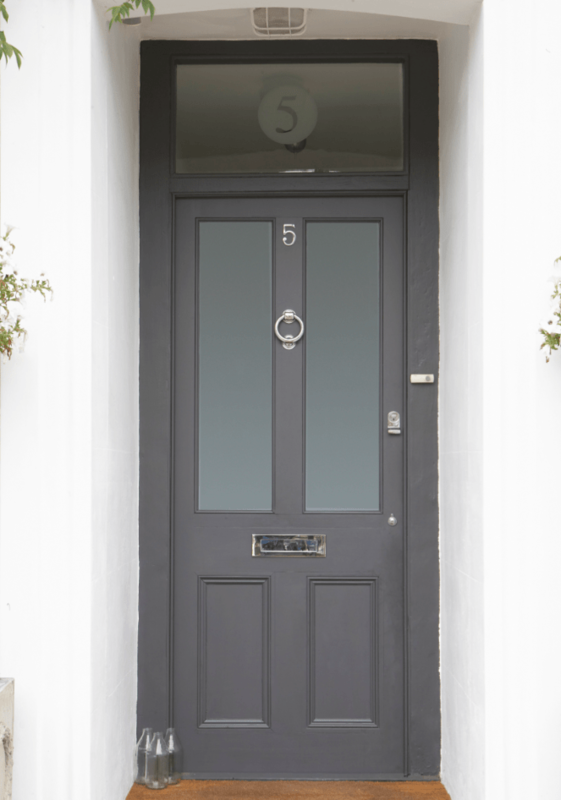 Grey door represents clarity, composure, practicality and maturity. Blue doors are a symbol of trust, dependability, strength and prosperity. Ok so which did you choose? ?